Something wicked this way comes...and it's zipping around on a quadcopter! 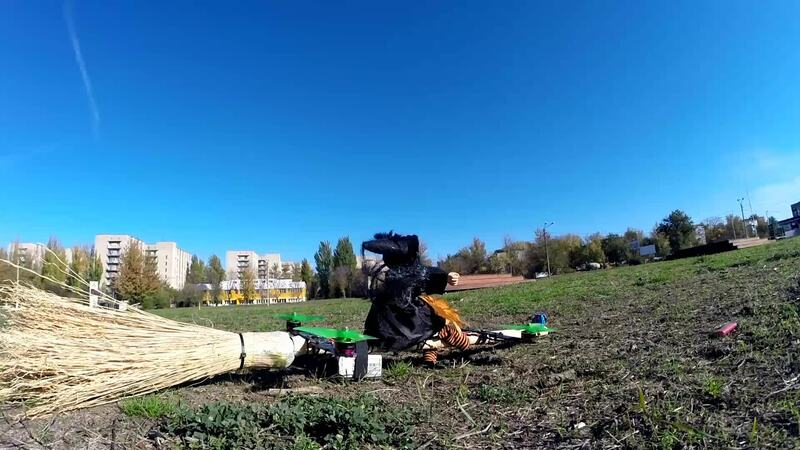 In this drone video, FPV pilot nikolay_t chases a broom-wielding witch mounted to an FPV quad in celebration of the Halloween holiday. Go on this FPV witch hunt but be careful of flying curses and hexes that might be cast your way.